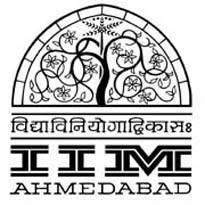 Indian Institute of Management (IIM) Ahmedabad Published Recruitment Notification for Chief Financial Officer (CFO) Posts. Interested and Eligible Candidates can apply for This Recruitment. You can View More Details About This Recruitment Including Posts Name, Total Posts, Educational Qualification, Age Limit, Salary, How To Apply etc., are Given Below. Educational Qualification : Ideal Candidates would have Qualification of Chartered Accountant (CA) from India. Additionally, MBA in Finance will be Preferred Qualification.